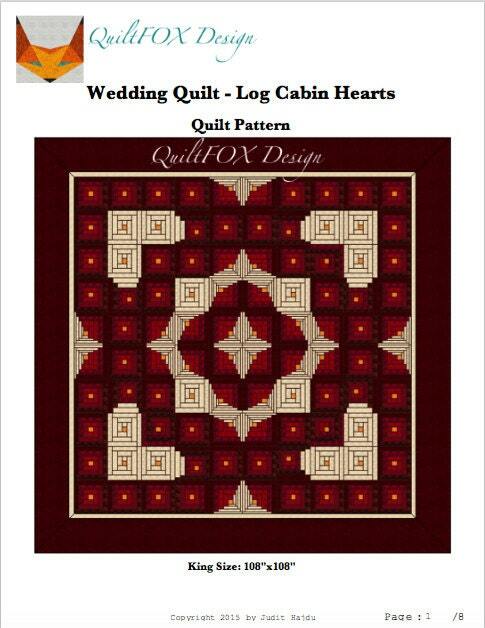 Wedding Quilt Pattern - Valentine / Love / Heart / Log Cabin Quilt - King Size 108" x 108"
Every couple deserves a Wedding Quilt, made from the heart and dedicated to the happiness of the newly wed. 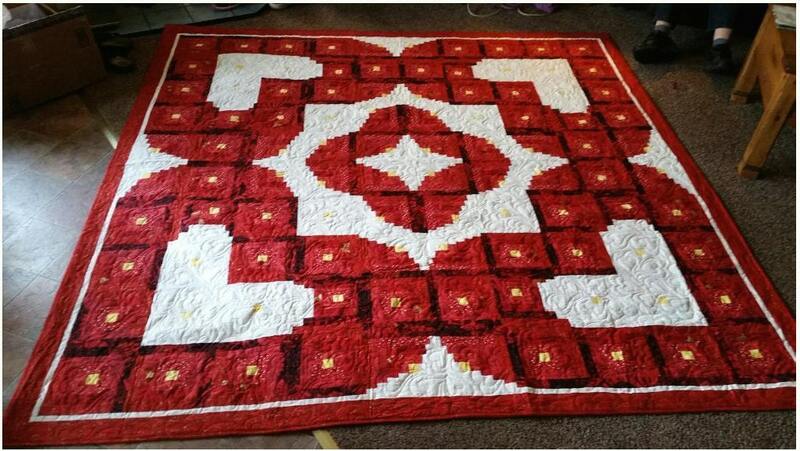 This quilt is built from traditional log cabin blocks with yellow centre, to symbolise the light coming from the home. The heart is the symbol of love and devotion. The hearts on this quilt create an unbroken circle, which many cultures understand as representative of eternity, to signify something that is never-ending. 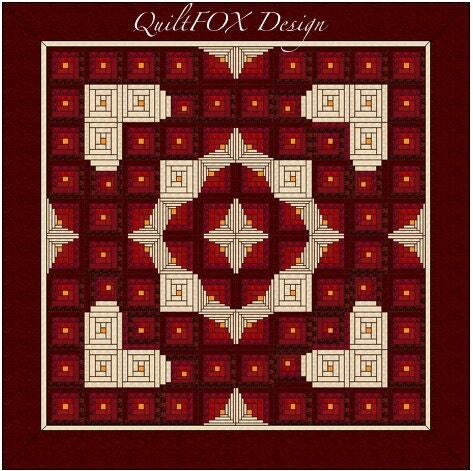 - The pattern will guide you trough the process of making the quilt. 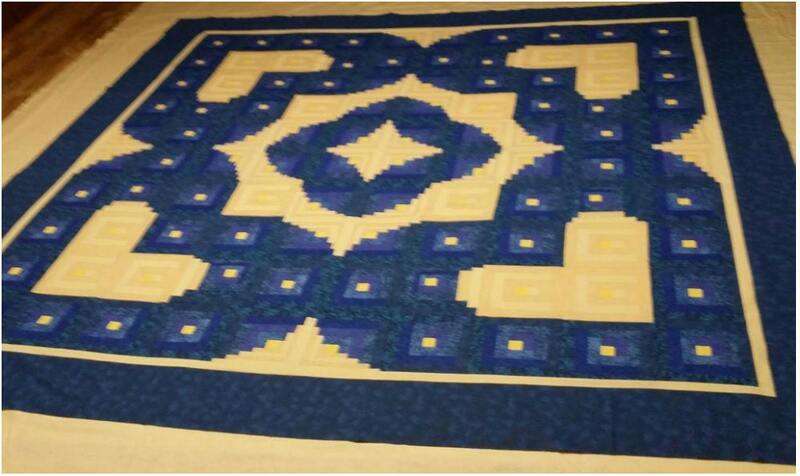 - The block piecing process is demonstrated with a "Animated Piecing Tutorial" what you can watch on YouTube. The process of making the quilt is demonstrated with images, which are easy to follow and understand.